I love this card, very cool. Fantastic Halloween card and a great take on the sketch! Seongsook, this card is amazing! Thanks for showing us the steps! Wow, this card is great. Thank you for showing how you did it. Beautiful! Love the colours. Just a super card for Halloween! Wonderful Halloween card! I love the spooky scene. Love the card and the technique. It's been a while since I did sponging...nice to go back to...thanks for a great idea and showing us the wonderful card you made. This is an awesome Halloween card! TFS how you created it! What a great card!! I love it thanks so much for showing us how you did it!! 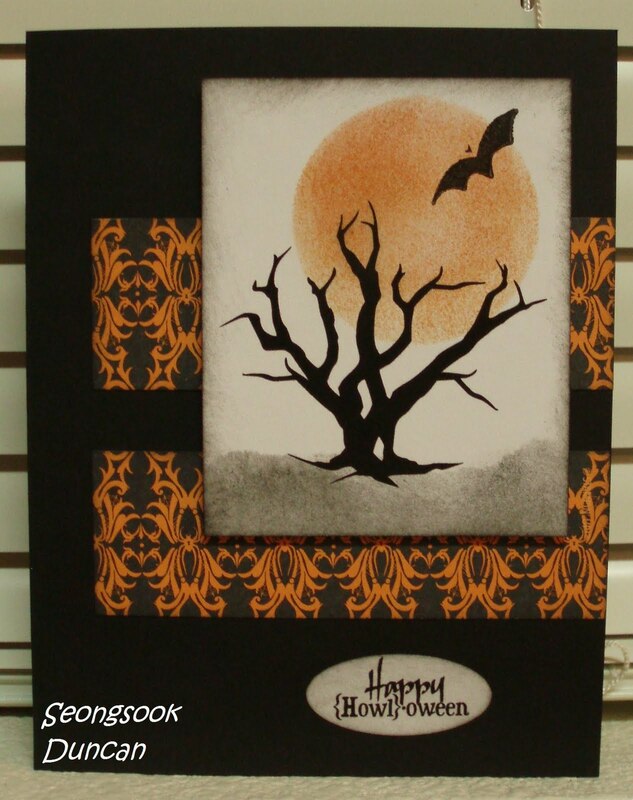 Neat spooky atmosphere on your Halloween card! Love the sponging and the sentiment; thanks for the tutorial! Very nice work on this card. 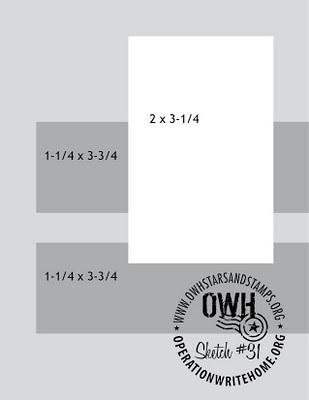 And the instructions are easy to follow. Thank you for the inspiration! Awesome, I love this halloween cards... thanks for the tutorial!